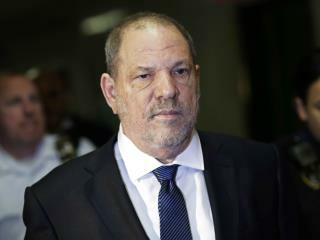 (Newser) – "I've had one hell of a year," might be the understatement of the year coming from Harvey Weinstein. A Monday email from Weinstein's personal email account, in which he criticizes police investigators while describing "the worst nightmare of my life," has leaked to media outlets including TMZ, though his lawyer Ben Brafman tells the New York Times it was sent only to a "handful" of intimate friends. Brafman's publicist tells CNN it was six to eight friends. "I'd like to speak to you on the phone if you have some time. There is more to this story ... I appreciate your confidentiality," Weinstein wrote, linking to articles he said showed "the police have played a very difficult role in my investigation." At this rate, Uglystein will be 76 before this trial concludes. Lets hope he videod all the whores, and releases them at trial so everyone can see THEY liked it.